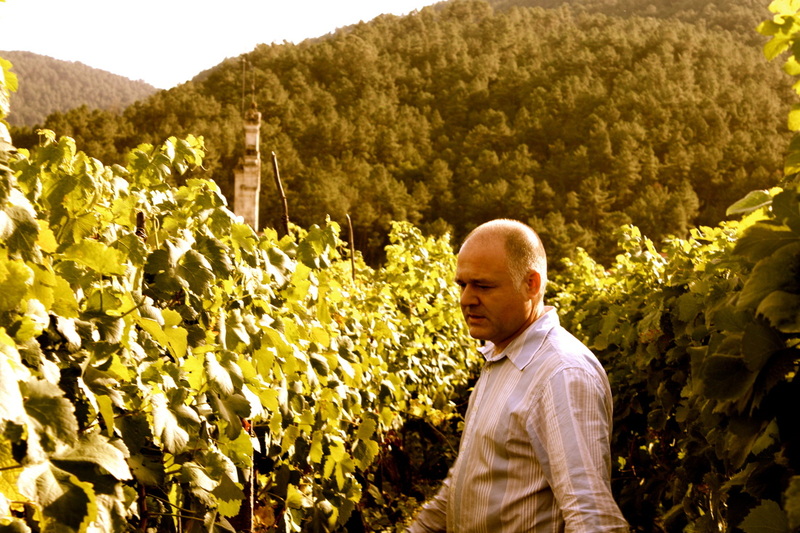 ​Luis Rodriguez has been quietly crafting remarkable Ribeiro wines since 1988. From the beginning, Luis’s aim has been to showcase the enormous potential for the once nearly extinct native grapes to produce distinctive and age-worthy wines. 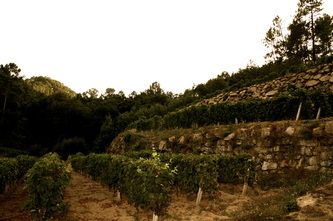 The Ribeiro wine region was once world-renowned. During the 16th and 17th centuries the wines were heavily traded on the Atlantic, most notably England was a big customer. The traditional wine of the area was called Vino Tostado, made from grapes hung to dry in the sun, not so dissimilar to Italy’s Amarone. Successive disasters profoundly affected the region’s wines, including war with England, oidium, mildew, phyloxera, and then civil war. 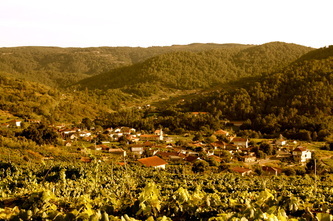 Ribeiro descended into an area responsible for primarily bulk wine production. 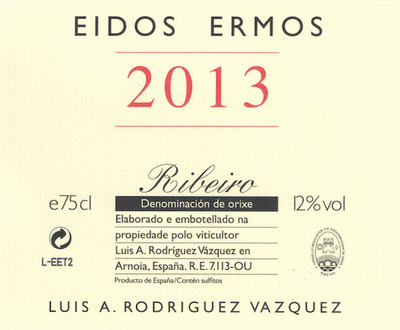 As of late, with the help of colleteiros like Luis, there has been a movement towards producing wines that are more reflective of the unique Ribeiro terruño. As a passionate son of Ribeiro, Luis Rodriguez is one of the most knowledgeable winegrowers that we have come in touch with in Galicia. 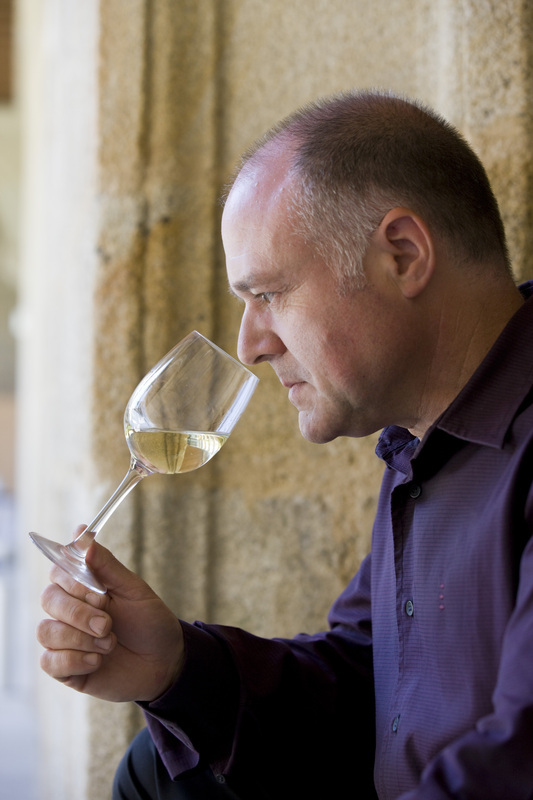 He studied enology and philosophy in Madrid, took the time to visit many of Europe’s great wine regions, and even served as the president of the Ribeiro D.O. for many years. 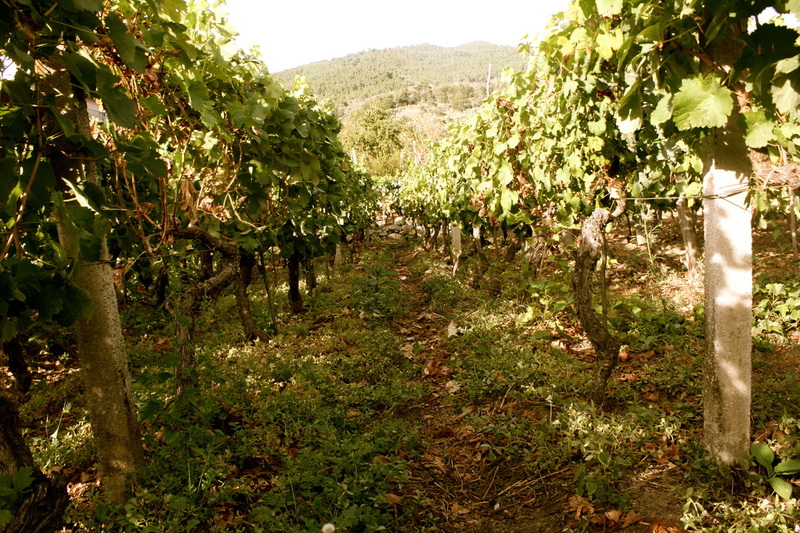 Over time, Luis has accumulated just over 5 hectares scattered over nearly 100 micro-plots primarily located in the town of Arnoia, a village with some of the steepest south-facing vineyards in Ribeiro. Here the soils are decomposed granite with sandy topsoil. Luis’s vines range from 10 to 50 years old, with many of them being planted by Luis himself. 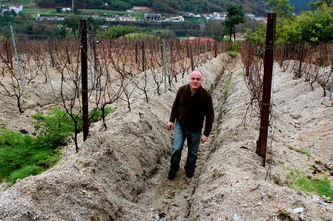 Having grown up in the village of Arnoia and by focusing his work there, Luis knows where the good vineyards are located. 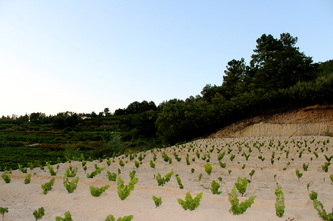 He has been steadily converting these plots from the bulk wine grapes Palomino and Garnacha Tintorera (Alicante Bouchet) to the native Treixadura, Lado, and Ferrol, to just name a few. His philosophy in the vineyard is to maintain balance. His approach to farming can be described as lutte raisonée, with no herbicides used ever, and treatments applied only if absolutely necessary, and never for a month before the harvest to help preserve the native yeasts existent on the grapes that help start fermentation. 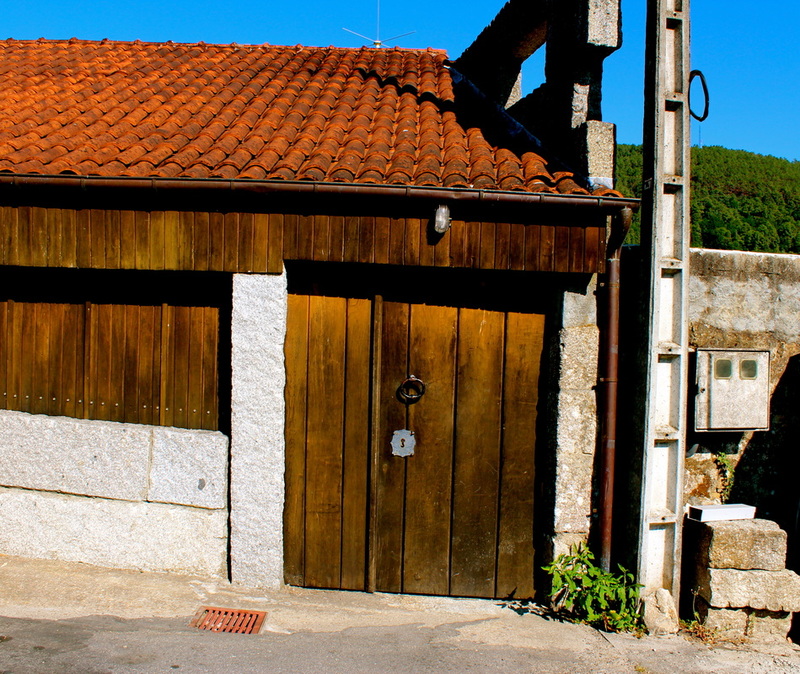 The tiny adega that Luis works in was built by his grandfather and is called Viña de Martín, named after the first vineyard that he took over from his uncle Martín. Luís works with a mixture of temperature-controlled equipment and a variety of sizes of oak barrels, with a small amount of new barrels reserved for the top Escolma wines that are only made in certain vintages. 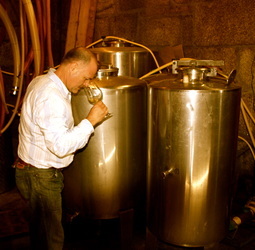 All fermentations are carried out with native yeasts. 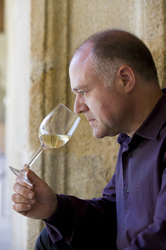 He uses judicious amounts of sulfur during the winemaking process to avoid oxidation. The white wines are aged on the lees. 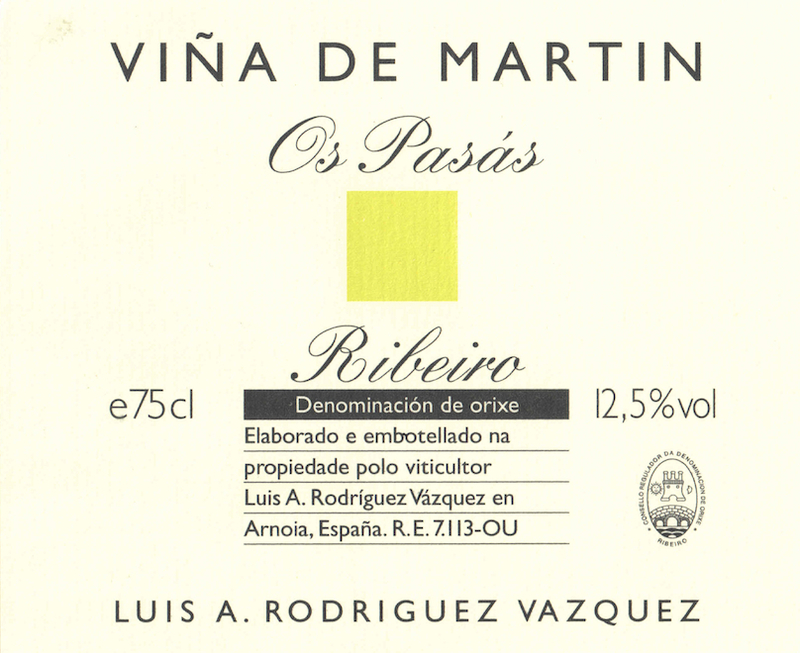 For the reds, Luis has single-handedly revived vinho tinto production in the Ribeiro. His work with the Caiño Longo, Caiño Redondo, Ferrol, and Brancellao grapes is unprecedented in contemporary Ribeiro and admired by many vignerons across the Iberian Peninsula. With all of Luis’s work, the most striking thing about him is how humble he is, his face blushing at the mere mention of praise. If you are in Galicia, it is worth paying him a visit. He makes fantastic homemade embutidos and chorizos, and distills his own spirits as a hobby. He also keeps good stock of back vintages of his wines, which just show how remarkable these wines are as they age. 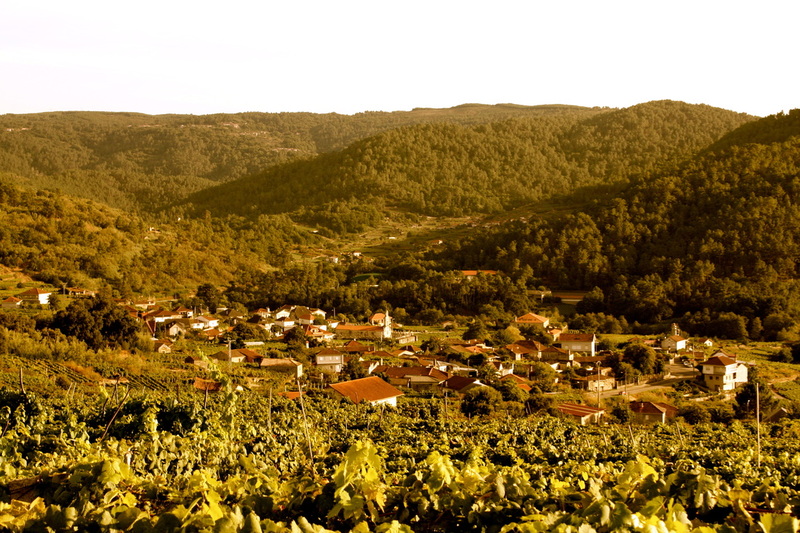 It is time for the world to notice that fine Ribeiro wine prevails. 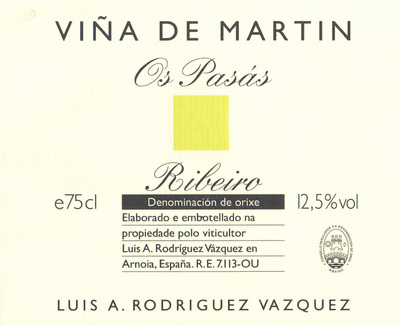 Viña de Martin Os Pasás From a blend of mostly Treixadura with Lado, Albariño, and Torrontes, vine age 10-25 years old, planted on steep granite hillsides in the town of Arnoia. Os Pasas branco was fermented with native yeasts in steel vat and raised in vat on the lees for 10-12 months. It is a fresh light to medium-bodied vino blanco with beautiful structure and subtle flavors of citrus, honey, and seashell minerality. A lovely wine to pair with roast chicken, fresh seafood, cheeses, and delicate earthy dishes. 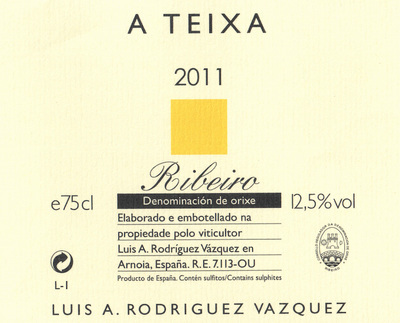 A Teixa This comes from a single vineyard planted on decomposed granite located in the town of Ribadavia, and is comprised of the native grapes Treixadura (mostly), Godello, and Albariño. 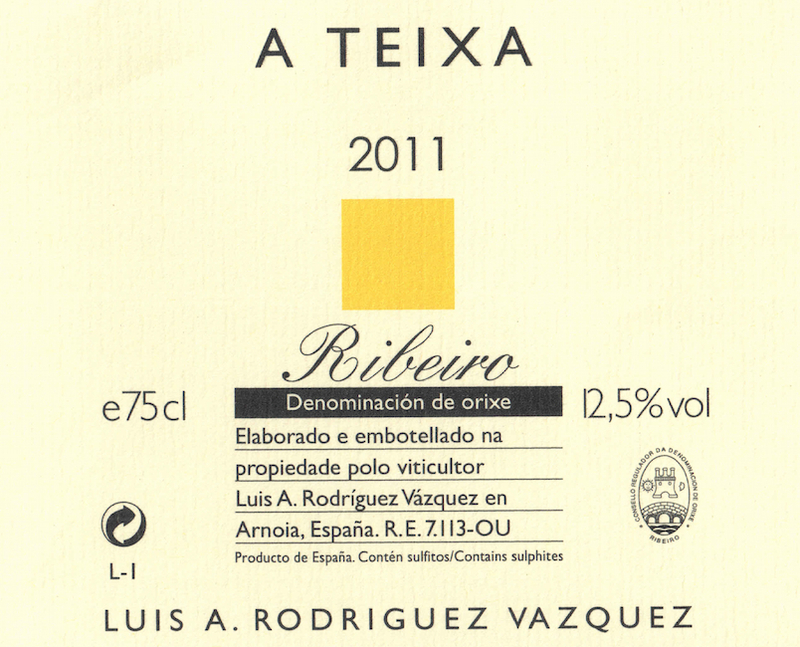 Ribadavia is known for producing lush, textured, and expressive wines, and A Teixa is exemplary of this. 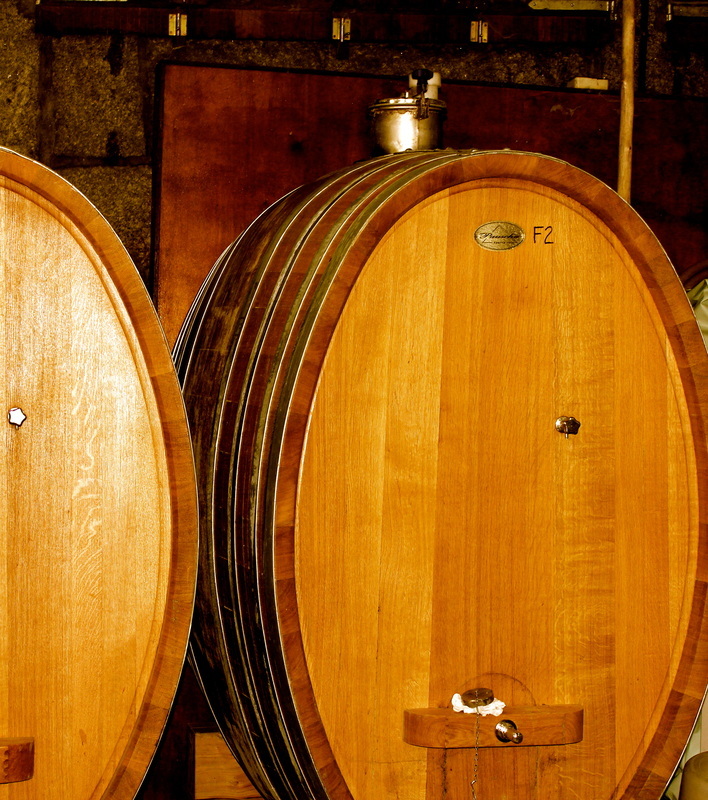 The wine is fermented spontaneously with native yeasts in a 23hl foudre, raised on the lees for 1 year in the same foudre, and then released after 1 year in the bottle. It is aromatic, lush, and textured with notes of honeysuckle and sea salt – a lovely and quite serious vino branco to pair with rich ocean creatures and poultry in sauce. 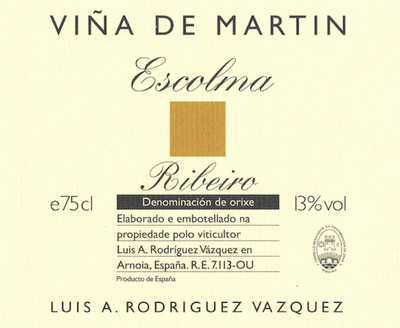 Viña de Martin Escolma From the lowest yielding old vines, comprised of mostly Treixadura, planted on steep granite hillsides. Escolma means “selection” in Gallego. This top cuvée is only produced in excellent vintages, it was wild yeast fermented in a variety of sizes of French oak barrels, raised on the lees for 12 months, and further aged in the bottle for 36 months. 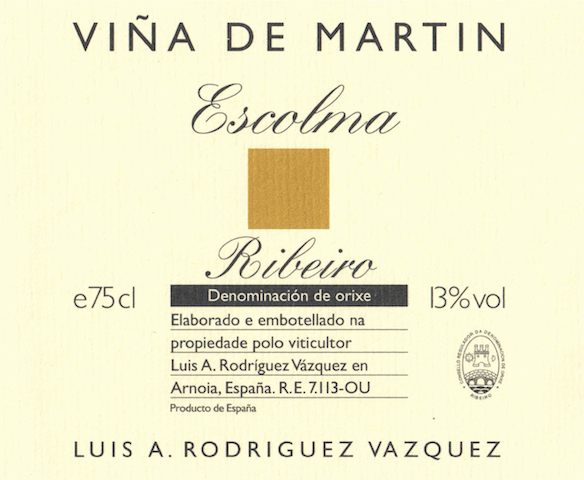 Escolma is a very complex and age-worthy medium-bodied vinho branco with a lovely balance between structured, lush quince fruit, and vivid mineral flavors. A noble wine to pair with lobster, crab, rich sauces, game, and pork dishes. Eidos Ermos This cuvee is made up of young vine Caiño, Brancellao, Souson, and Ferrol, native vines planted by Luis himself using massale selection. All of the fruit comes from Luis’s hometown of Arnoia, where the soils are granitic, and the vineyards are steep and south-facing. 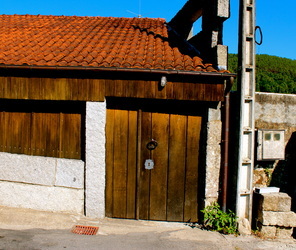 The wine is de-stemmed, fermented spontaneously with native yeasts in steel vat, and then raised partly in 225 liter French oak barrels and partly in steel vat for 12 months, with earlier release than Luis’s other red wines. It is fresh and aromatic with red fruit, spice, floral and herbal notes - complex and eminently drinkable – fabulous to pair with charcuterie, roast chicken, seared tuna or other fatty fish. A Torna Dos Pasás 40% Brancellao, and roughly equal parts Caiño Redondo, Caiño Longo, and Ferrol, vine age 10-20 years old, grown on steep south-facing granite hillsides located in the town of Arnoia, Galicia. 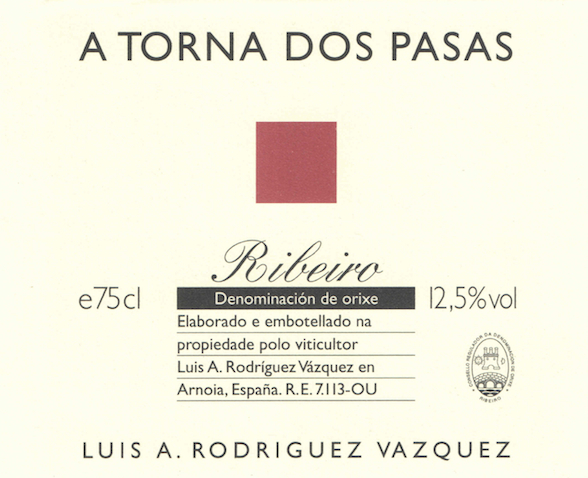 A Torna dos Pasas was fermented with native yeasts in steel vat, and raised in used 300 liter French oak barrels for 12 months. It is a fresh, aromatic, and medium-bodied vinho tinto with lush and spicy flavors of red fruits, pepper, and purple flowers. A delicious vinho tinto to pair with pork dishes, spicy foods, game, and rich fish dishes, like tuna and swordfish. 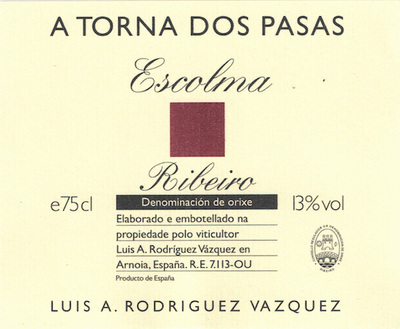 A Torna Dos Pasás Escolma From a field blend of the lowest yielding old vines planted on steep south-facing granite hillsides in Arnoia. Escolma means “selection” in Gallego. This top cuvée is only produced in excellent vintages, it was wild yeast fermented in barrel, raised in a mix of new and old 300 liter French oak barrels for a minimum of 12 months, and further aged in the bottle for 36 months. Escolma is a very complex and age-worthy medium-bodied vinho tinto with a balance between structured, wild red fruit, leather, spices, and earthy mineral flavors. A noble wine to pair with game, roasted meats, rich stews and braises, and pork dishes.